Chris and 9 of his buddies celebrated his bachelor days for an entire weekend. 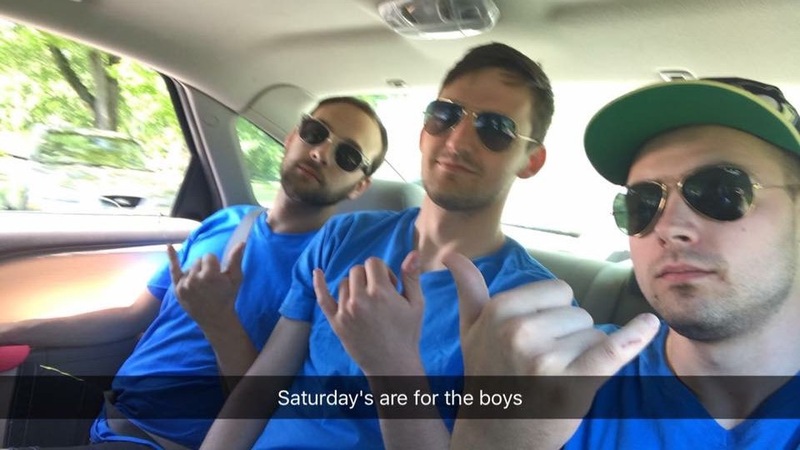 Chris’ brothers and closest guy friends put together a jam-packed weekend. They all congregated at Chris’ in Erie to mark the last days Chris will spend as a bachelor. First, the boys drove downtown to Perry Square Park and attended Erie’s annual Rib Fest. They sampled all the vendors and voted for their favorite fare. The stag also listened to live music and simply hung out and relished every bro moment. To a night we will never forget! Next was hanging out more, like boys do. And it isn’t a guy weekend without a little healthy competition and for this bachelor party, it was playing lawn games. And…. it was that evening where the carousing got a bit out of hand….so out-of-hand, that the neighbors called in a noise complaint. Double drats! But, kudos to the Erie PD. 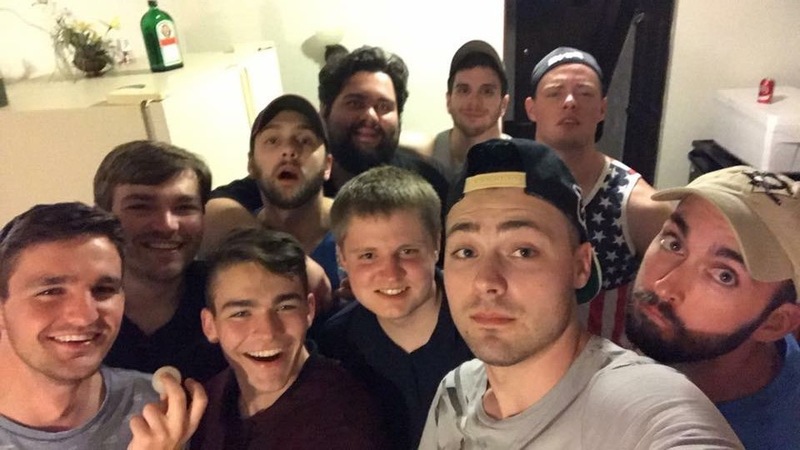 Upon arrival, they found out the noise was from a relatively low-key bunch of guys enjoying a few pops and a friendly lawn game contest, all in honor of a bachelor! The deputies simply advised the party to keep the noise down and went on to their next call, to fight real crime. 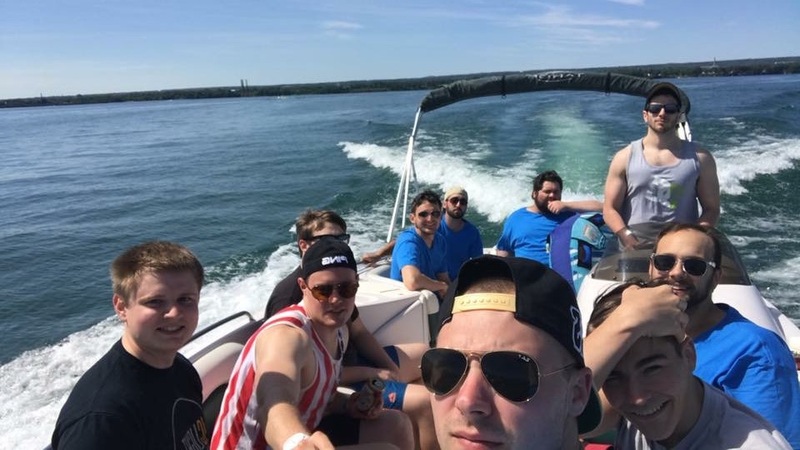 Most of the guys would agree, that the most exciting moments were while boating at Presque Isle State Park. Just kicking back, soaking up the sun and buzzing around on the water was relaxing itself. Everyone also had a go at tubing. Good times! The real celebration, August 12 at Quincy Cellars is almost here! !